We are looking to hire our 2019-2020 SEA Board team to create fun and exciting experiences on campus! 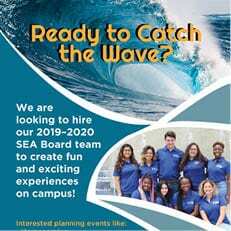 Then come catch the wave with us! 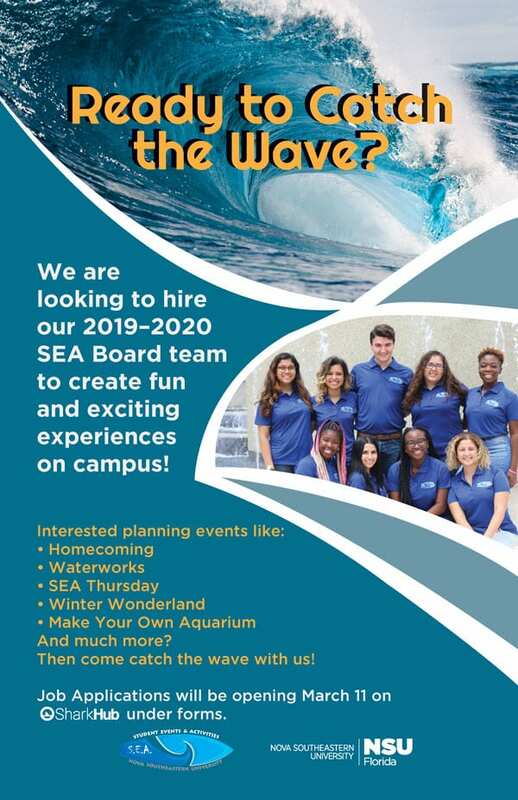 Job application will be opening March 11, 2019 on SharkHub under Forms.